I am really loving suzani print these days. You all pretty much know my style about now- I love color, eccentric pieces and a little bit of mixing old and new. Suzani prints are right up my alley! The bench by the stairs is beautiful! So nice to see this colorful post for a little pick me up. i love suzani too. suzani and stripes, just perfect. Me too, me too! I love every piece shown here. Especially that rug up top and the little bench at bottom. So stinkin' cute. oooh love it - ALL of it. Especially the tablecloth, pllows and ottoman. Reminds me of walking into an Anthropologie store! Can I ask what software or app you use for your mood boards? 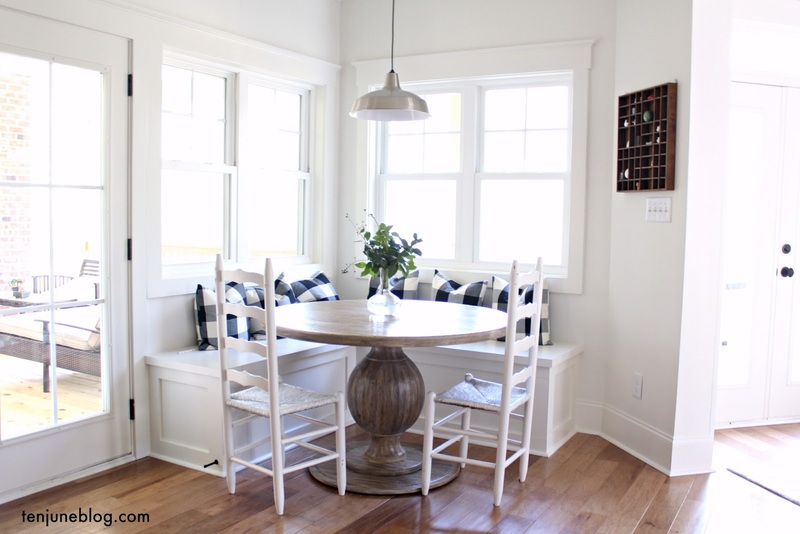 Im so desperately trying to come up with inspiration on my living/dining room and I love yours! I love suzani too...and you can always find them in any color you like...so versatile. I am loving Ten June!!! The suzani prints are fabulous. I love the outdoor table. I have a tablecloth and it has stood the test of time . . such fun color. We might me the same person! I'm in love with suzani prints too! Just wanted to let you know that I nominated your blog for the versatile blogger award! Please let me know if you accept, love your blog! I love all those different colors and patterns on that red couch! How cheerful and fun! I love all the color! The pillows and bench are adorable. I hope you get one! I am craving all that color!! Gorgeous. Here's hoping the snow is kept to a minimum this time!! Love all of the fun pops of color! Makes me happy! That design is fabulous! Wow....I would take any one of those items....my favorite being that red chair - wow how cool! Those are all great! Love it on the bench. I have some suzani-ish fabric that I haven't done anything with yet... maybe an ottoman is the answer! I have been liking suzani prints too. They are so fun! I'm LOVING that print too! It's so fun! Agh, I love Suzani's! There is SO much inspiration in these pictures, I can't get enough of it! Tile for Miles: A Sneak Peek!